Sunny August morning in the Swiss Alps. A determined trailrunner ascending a narrow and steep mountain trail. He felt sweat trickle down his back beneath a technical t-shirt. Without stopping or slowing down, he drank water from the soft flask in the front pocket of his vest. He was probably getting closer to the target, although GPS reception can be tricky on a steep slope. He looked around calmly, making sure nobody was following him. 'Don't let the muggles get you down', he thought. The location shown on his navigator was only a few meters away now. He spotted a suspicious pile of rocks and roots under a small fir tree on the top of the hill. He removed the camouflage carefully. Soon he held an army green metal ammunition box. The code on the box matched the description. He opened the lid mechanism. Inside the box was a perfectly dry logbook. 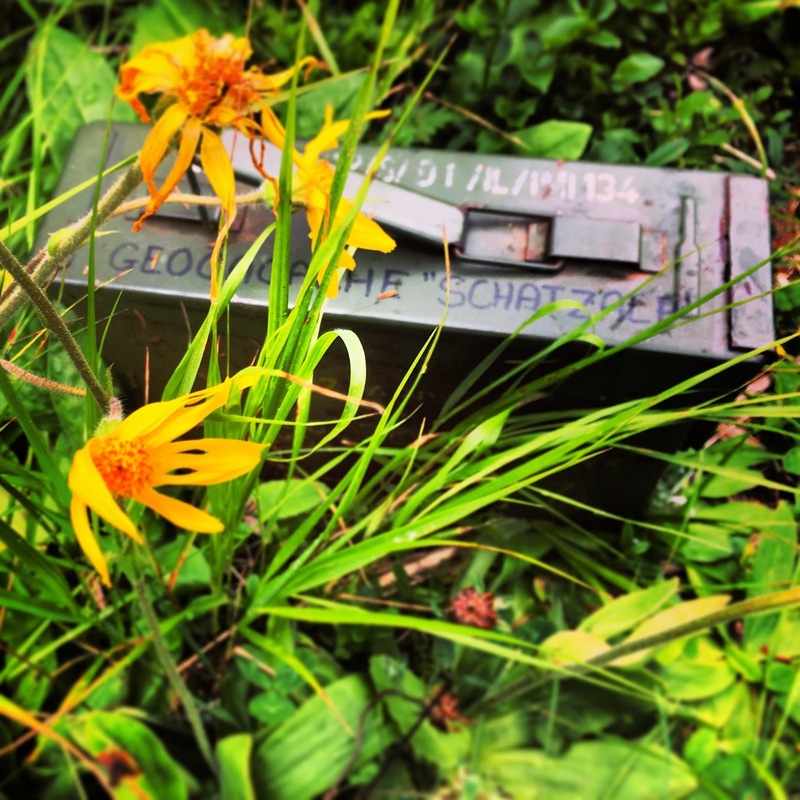 No wonder these ammo cans are known as the Cadillacs of cache containers. He scribbled the date and his pseudonym in the book. Then he put everything back exactly as they were and left the scene making again sure nobody was watching. On the way down to the highest town in Europe, the happy trailrunner clicked the Found button on his phone app. 1000th geocache certainly seems a milestone worth celebrating.